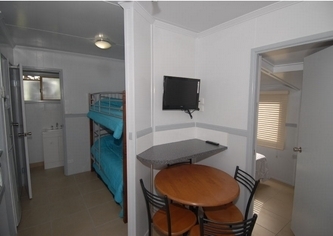 Welcome to BIG4 Kurrimine Beach Holiday Park. Situated at the southern end of unspoilt Kurrimine Beach, each site and cabin is individually landscaped, giving a peaceful private setting. We are one street back from the beach giving us adequate protection from any nasty weather. 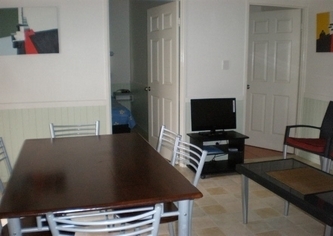 Stroll 70 metres to a beautiful palm fringed beach where you can walk and fish. 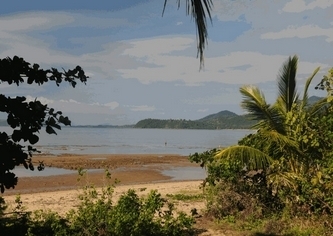 King Reef is just offshore and the beach has lovely views of Dunk Island. 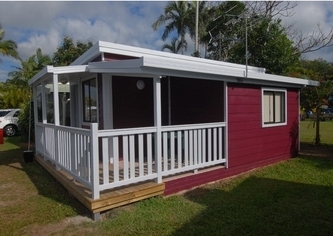 Boat ramp and creek are close by, and the park is ideally situated just a short drive from Mission Beach and Dunk Island and also the No. 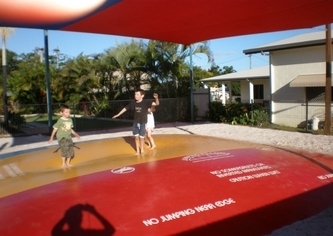 1 Thing to do in Queensland - Paronella Park. Check out the quirky Canecutter Way, the award winning Murdering Point Winery, numerous waterfalls, whitewater rafting and hinterland destinations. Internet access is available to guests of the Park. 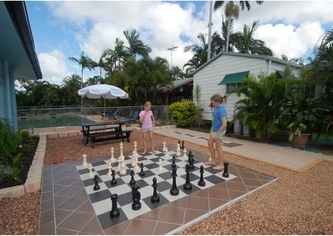 BIG4 Kurrimine Beach Holiday Park provides several accommodation options catering for all guests. These include 4 star 2 bedroom Villas, Deluxe Ensuite Cabins, and Open Plan Ensuite Cabins, Powered Sites and Unpowered Sites. The park has a large swimming pool, jumping pillow, playground, great camp kitchen and also features modern amenities and laundry facilities. We have internet and fax facilities. Please check into the office between 8.30 am and 5.00 p.m. For late check ins please ring to confirm a time prior to your arrival. Our villas and cabins cater for extra guests and children. 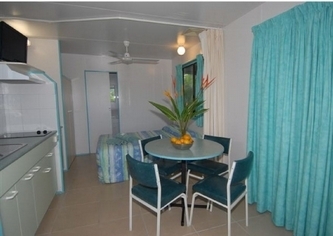 Linen is provided on all beds in Villas and Deluxe Ensuite cabins and to the main bed in Open Plan Ensuite cabins. Extra linen iis available for hire or you can bring your own for the kids. Parking is at your cabin or site. Kurrimine Beach is 1 1/2 hours drive south from Cairns and 2 1/2 hours drive north from Townsville. Turn off the Bruce Highway at Sillkwood onto Murdering Point Road. Kurrimine Beach is approximately 10 km from the turnoff. At Kurrimine Beach turn right at the white wedding chappel into Jacobs Road. Follow Jacobs Road 1 1/2 km right to the end, where you will find us. Kurrimine Beach, where the Barrier Reef meets the coast, is renowned for the best fishing and is home of the much sought after King Reef Crayfish. Stroll along our deserted palm fringed beach and taken in the splendid sea scape. Explore the Tully Gorge, White Water Rafting, Paronella Park, Josephine Falls and the Sugar Museum. 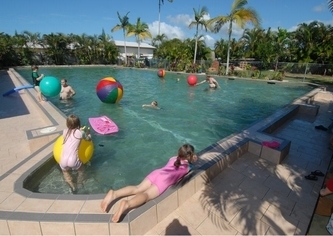 Visit Dunk Island, the Outer Barrier Reef or relax by the huge pool or enjoy the birdlife.